Cellencor offers a full range of testing and service options to handle both small startups and large industrial installations. With applications ranging from chocolate to ceramics, soy beans to freshly cut herbs, we have the knowledge and experience to meet your needs. Contact us today to discuss a complimentary demo at our test facility or an onsite rental to evaluate microwaves in your process line. Industries: Bulk drying, Specialty applications, Industrial and Agricultural processing. Marion Mixers manufactures mixing, blending and drying equipment for the processing industries. Our experience as a custom design capital equipment manufacturer has enabled us to design, fabricate and assemble processing equipment involving over 1,000 different product applications. New product innovation, plant expansions and cost reduction initiatives drive demand for our products. Industries: Our core areas of expertise are in the food, plastic, chemical and mineral industries. We also have extensive experience within other industries such as pharmaceutical, petrochemical, coatings and animal feed. The recycling industry and waste-to-energy bio-solids and biomass feedstock mixing and drying are other growth industries for our company. The Burch BioWave® is a patented high-efficiency process utilizing a duel-fueled microwave system to remove water or other liquid from a variety of waste materials. The Burch BioWave ® has municipal, industrial, and agricultural applications and is recognized by the SEPA as a system capable of producing Exceptional Quality Biosolids. The process eliminates pathogen content while reducing weight and volume of the material. The end product is environmentally safe and nutrient rich and has a variety of beneficial uses. Our qualified staff can design a unique system tailored to your specific needs. We place special focus on quality customer service and product innovation to create a cost-effective solution for waste management in today’s world. Industries: Public Utilities, asphalt contractors as well as State and Federal entities such as the Department of Transportation. RMF is a multi-faceted company with diverse interests. RMF represents certain lines of equipment, one of which is AMTek microwave tempering and cooking ovens. They manufacture standard lines of food processing and handling equipment and incorporate them into a broad range of turn-key processing systems. They also manufacture proprietary equipment and systems for other companies’ specific needs. Founded in 1983, MACKESSEN SDN BHD specializes in supplying quality food ingredients and meat processing machinery to all major food industries in Malaysia. In addition, we are also actively involved in sales of chemicals, plastic raw materials and industrial machinery. 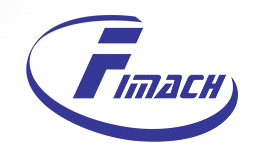 PHU LOC TECHNOLOGIES CO., LTD.
Weindich Sp.J. has been providing the highest quality equipment for Meat Processing Industry in the Ho-Re-Ca Sector for 30 years. We have created a multifaceted Customer Service Department with a team of qualified technicians and sales consultants to ensure our customers’ needs are met. The wide range of services and professional assistance has helped Weindich become one of the most recognized and trustworthy equipment suppliers in the world. Selo is your reliable partner for food processing and packaging systems. Their mission is to create the most efficient production systems for their customers in the food industry. Alpha Chilena has over 60 years of experience supplying the Food Industry and leading the market in Chile. We are constantly looking for ways to provide the highest technical quality to our customers. Our infrastructure consists of more than 34.000mt2 (10.300 feet) distributed in offices and production areas with 3 plants in Santiago-Chile and 1 plant in Cordoba-Argentina. Each plant is equipped with high technology equipment and bromatology, bacteriology and R&D laboratories as well as a modern show room. Moreover we have offices in different cities and countries. A modern fleet of trucks and vehicles for a fast and efficient delivery of our products is also available. Alfa Chilena S.A. has more than 200 employees distributed throughout different areas including a select team of engineers and highly qualified technicians in food science. Alfa Chilena has over 60 years of experience supplying the Food Industry and leading the market in Chile. We are constantly looking for ways to provide the highest technical quality to our customers. Our infrastructure consists of more than 34.000mt2 (10.300 feet) distributed in offices and production areas with 3 plants in Santiago-Chile and 1 plant in Cordoba-Argentina. Each plant is equipped with high technology equipment and bromatology, bacteriology and R&D laboratories as well as a modern show room. Moreover we have offices in different cities and countries. A modern fleet of trucks and vehicles for a fast and efficient delivery of our products is also available. Alfa Chilena S.A. has more than 200 employees distributed throughout different areas including a select team of engineers and highly qualified technicians in food science. For more than 20 years, we have been one of the most important Central American companies in the commercialization of machinery and packaging material, as well as in our offer of services for the Food Industry. We represent leading manufacturers of equipment and packaging material located in Europe, Asia and the United States. Our commitment is to focus on satisfying our customer’s needs at all times. To be the leader in the Mexican market in high technology solutions for the food industry creating a value chain with solid links such as our customers, suppliers, collaborators and shareholders in an environment of profitability, sustainability, leadership, growth and professional ethics. Food Processing Equipment (FPE) is one of Asia-Pacific’s leading suppliers of food processing equipment and solutions. 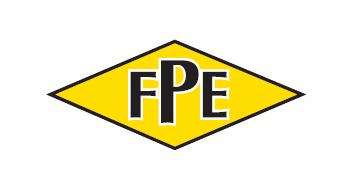 FPE provides total solutions to the food processing industry and thoroughly understands that each processing task is different and that businesses require the right tool for each step in the production process for optimum efficiency. Only in this way can a business attain global competitiveness. To ensure you have access to the right equipment, we bring together the expertise of the best food processing equipment suppliers from around the world. This ability to supply both state-of-the-art technology and an extensive range of consumable lines makes us the preferred choice of many Australian, New Zealand and Pacific Rim food processors. Together with our core European partners – Scanvaegt’s Weighing Systems, Dantech’s Freezing Systems, Bilwinco’s Multihead Weighers, BJ Gear’s Bearings, Detectronic’s Inspection Systems, Nothum’s Further Processing Systems & Emydex’s Food Processing Software – we are proud to deliver high quality products & solutions to the Food & Beverage Industry and strive to deliver the best possible service to match. We appreciate your interest in AMTek. If you do not see your country listed please contact AMTek directly with any product inquiries.